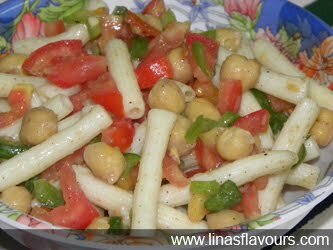 Boil chickpeas and pasta. Add salt while boiling. Take a bowl and add all the ingredients. Mix it well. Put it in the refrigerator. Serve it chilled.